Sigri is a traditional fishing village with 300 inhabitants on the west end of the island of Lesvos with typical Greek taverns, bars and very nice accommodation! The right place for anyone who wants to discover pure Greece – a time travel back to 1960! The wind blows cross-off shore and it is perfectly flat in front of the centre! After about 30-40 metres you are in the freestyle corner. 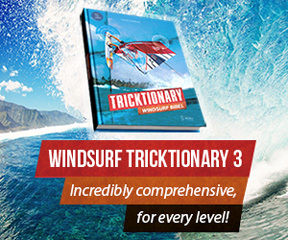 There the wind is a little bit stronger but still flat water, which helps every windsurfer to improve their level. Sigri offers not only flat water. Further outside the wind comes directly from the open sea (through the channel). This is the reason why you have a great swell there. Across the bay is the island of Nissiopi, which offers protection from the Agean sea. The centre consists of an office, bar, a huge sun terrace, a shower and lots of sun loungers (shade)! 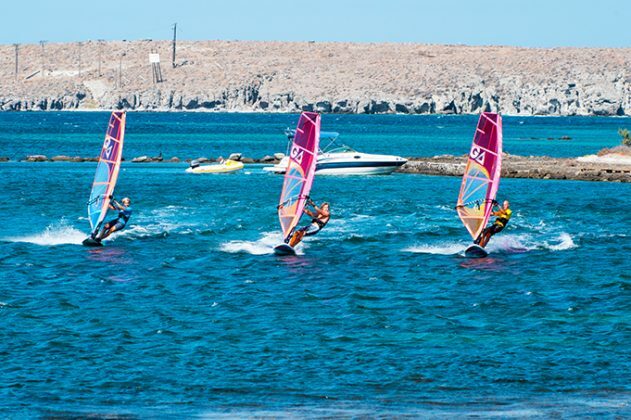 Sigri Surf offers the latest boards and sails from Tabou/Gaastra (2017). Sigri is the perfect place for the whole family, especially children who are very welcome.